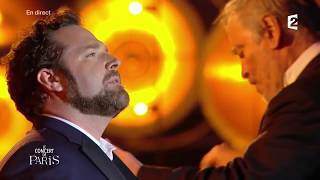 Over the New Year, Bryan Hymel made a stellar debut at New York’s Metropolitan Opera, giving what the New York Times called an “impassioned and confident performance” as Aeneas in Berlioz’s epic Les Troyens. In case you missed it, you can still watch Bryan’s Met debut – featuring a cast that includes Susan Graham and Deborah Voigt – with the January 23 Encore Live in HD broadcast to movie theaters throughout the United States. There will be a repeat broadcast to Canadian audiences on March 9. Find a cinema near you & purchase tickets for the encore broadcast January 23.